"We want to dress up with the colors of our diversity, because our flowers are diversity that Inspires", Asocolflores says on new image of Proflora. Do you remember the last version of Proflora? In that version, they used the logo with the colors of the Colombian flag. According to the organization, the 2019 show will be one full of surprises, with the new logo as one of them. "Discover the magic of Proflora." 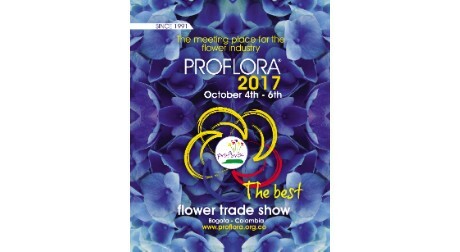 Proflora is a bi-annual international flower trade show. Last time, it was held in October 2017 and this year it will take place from October 2-4. It is held in the Corferias Convention Center in Bogota, Colombia. Eager to get an impression of the fair? Check our photo report that we took at the last edition in 2017.